We need to dig deeper if we are serious about the bushfire threat, and this doesn't mean just more charity to prop up the existing but failing system, as the PM seems to perpetuate. This goes beyond the Victorian Bushfires. 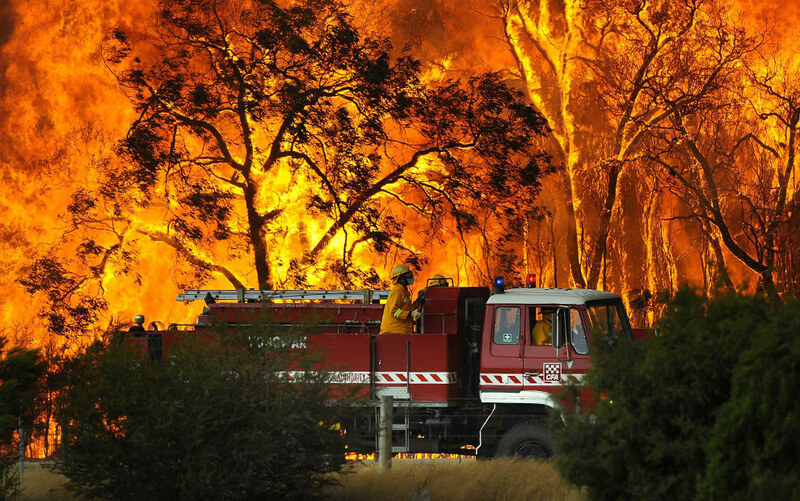 Under-resourcing is a fundamental problem with Australian bushfire management nationally. The bushfire problem is only going to get worse given the trend toward hotter summers, prolonged droughts, climate change, arsonists and millions of houses now situated in bushfire prone areas. The answer is not to destroy vast swathes of bushland, which embers jump anyway sometimes spotting beyond 10km ahead of a fire front. 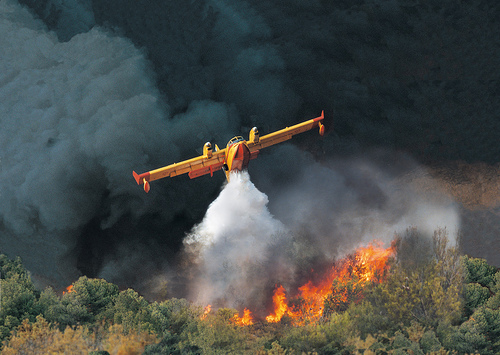 Detection, response and suppression are the measures of firefighting success criteria. Yet to adequately perform these, current bushfire management remains chronically under-resourced by all levels of government across Australia. But also more manoeuvrable water-bombing rotary-wing aircraft like the Erikson Aircrane plus the dropping in of RAFT crews also deserve consideration particularly in rugged terrain, where Bombardiers would not be able to achieve water-bombing runs low enough to be effective. The cultural problem is that bushfire management is typically fire-truck centric in its thinking, planning and response. And beware of pollies and their devoted fans lobbying red herrings and porkies to try to stimie investigation into these options, when really the debate is simply one of cost. For an aircraft to provide effective assistance it must be available at call, rapidly dispatched with minimal travel time and with logistical systems in place. 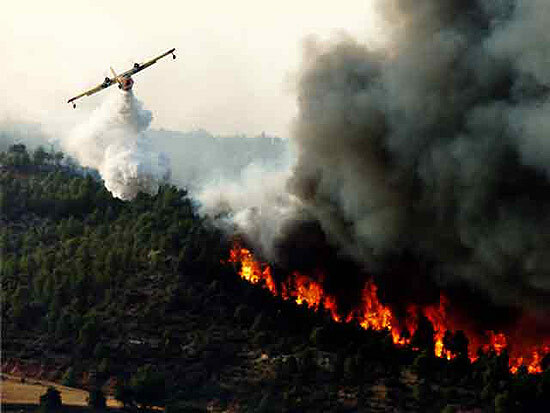 Air operations effectively integrated into the incident management structure and competent personnel are needed to be available to direct the operations for good outcomes. The use of ground resources with initial aerial support is the most economically efficient approach to suppression. 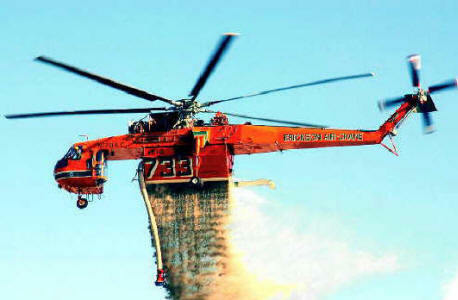 The use of aircraft for first attack until ground resources reach the fire produces the best suppression outcome. Large fixed wing air tankers such as a DC 10 are at a cost disadvantage. This is particularly the case for first attack when fires are small and where water drop accuracy is required. (But no-one could argue that Victoria is now at a cost disadvantage without them..the economic bill alone is $2 Billion, which excludes the psychological, social and ecological costs). The airborne response is just one strategy to consider. 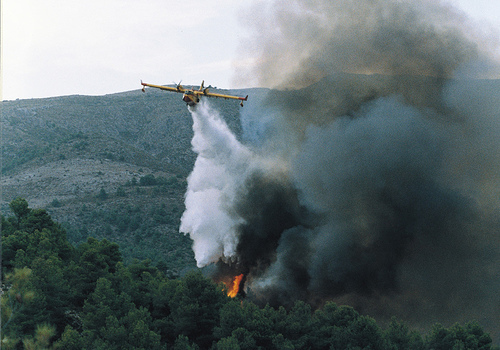 The bushfire management solution is complex. Yes Les, to be effective in preventing a repeat of 7-Feb-09, it demands massive investment and organisation at a level only federal resources can muster. All environmental funds to CONTRACEPTION! This comment has been moved to the brief 'article' "Do efforts to save out natural heritage from bushfires hinder the promotion of birth control?" All comments concerning contraception should be posted there. - JS, 3 Mar 09. This comment has been moved here. - JS, 3 Mar 09. Thanks, Tigerquoll, for keeping on about this subject, which will be right back with us in Victoria in just a few months.